Thailand is the jewel in the crown of South East Asia, from the exclusive resorts in Phuket to the hippie retreats in Pai it truly offers something for everyone. 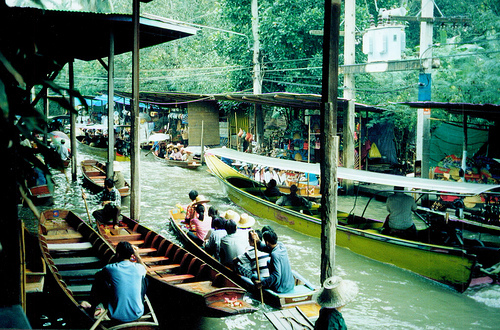 Bangkok is the capital and main transport hub for travellers, a bustling cosmopolitan city with a fantastic night life. Bangkok’s skyscrapers viewed from a rooftop bar on a balmy evening is a special sight! Many of Thailand’s historic temples are found in Bangkok, including the famous ‘Temple of the Emerald Buddha’, an awe inspiring architectural wonder with the ever-present aroma of burning incense hanging in the air. The city offers a variety of shopping experiences, from bargaining hard and savouring the best street food in Thailand at the markets, through to rubbing shoulders with the elite fashion connoisseurs at designer boutiques in the famous Bangkok Emporium. 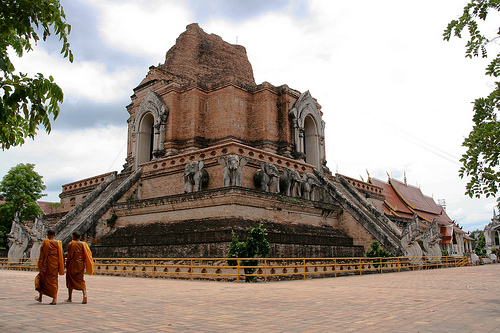 Northern Thailand, from where the first Thai Kingdom’s arose, has a rich cultural and artistic heritage. Many of Thailand’s National Parks, with ancient forests and breathtaking mountain scenery are situated in this area, making it a popular destination for trekking. This can be challenging, but the views are a worthy reward. Chiang Mai is great to use as a jumping off point for organised treks, many of which include river rafting and elephant riding. The city has over 300 temples, fantastic night bazaars and exceptional quality handicrafts. The city is one of the best places for experiencing Thai massage, with many modern spas combining traditional techniques with a relaxing, quiet atmosphere. Massage is one of the many courses available, encompassing everything from Buddhist meditation to high energy Thai boxing! Plenty to keep even the most industrious traveller occupied. Further South, several marine National Parks are located and scuba diving in the crystal clear waters, with colourful corals and playful shimmering fish is truly memorable. 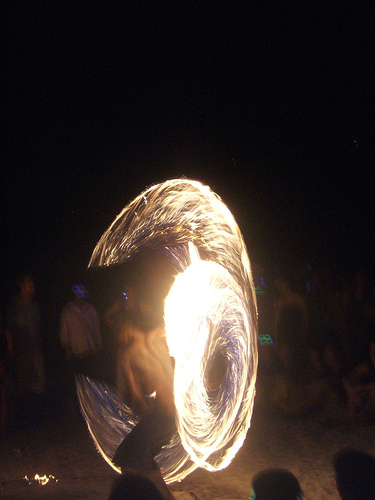 The island of Ko Pha-ngan is home to Thailand’s legendary full moon parties, along with stunning white sand beaches and is frequented by the backpacker crowd. Thailand’s largest island, Phuket is one of South East Asia’s most popular yachting and diving destinations, with exclusive resorts and tranquil palm fringed beaches to relax on. Thailand is a place of wonders, from manmade temples to natural mountains and beaches, around every corner there is a discovery to make, a delicacy to taste or a friendly local happy to talk for hours. This entry was posted in Travel Advice on November 8, 2012 by worldwideinsure.